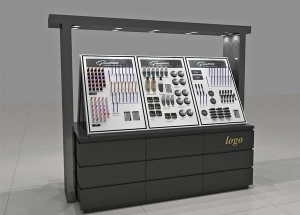 This optical frame display rods: panel ( baking paint or veneer finishes ) , display rods, light box, storage canbinet with hinged door (can lock), mirror, logo, laminated deck, dust resistant, electrical cord with switch. 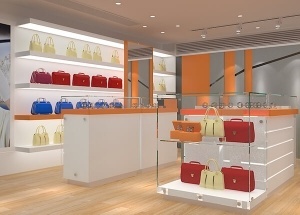 This bag shop display was for folli follie bags store project located in the USA . 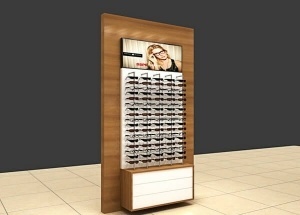 This two-side wooden cosmetic display stand is cosmetic kiosk counter with countertop acrylic display stands.It's used to display makeup,lipstick,perfume,skin care product and so on. 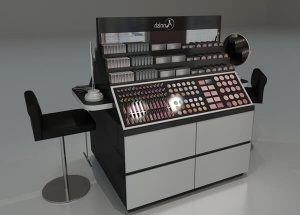 This Two-side wooden makeup display stand is makeup kiosk displays with countertop acrylic display stands. 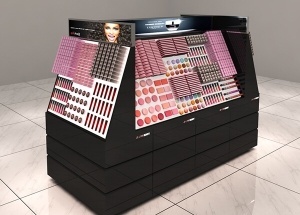 It's used to display eye makeup, lipstick and so on. 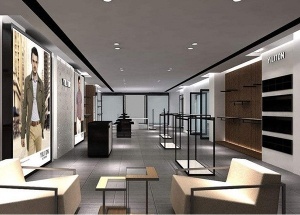 The retail clothing store design ideas was for a men clothes shop project. 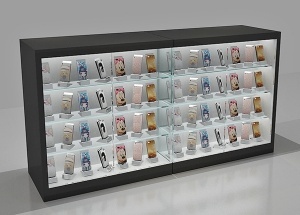 This full view showcases are pre-assembled and are made with tempered glass and MDF. We offers standard laminate baking paint and wooden veneer finishes this full vision showcsae, and we can also customize finishes to your specification. 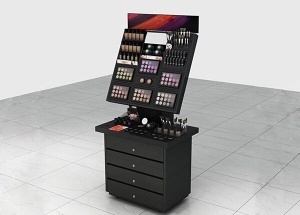 This portable makeup display stands: aminated deck,black acrylic displays, storage cabinets(can lock), logo, light box, mirror, dust resistant, electrical cord with switch. we can also customize finishes to your specification. 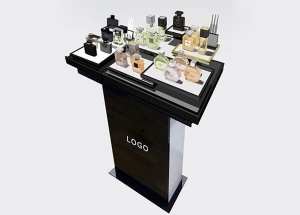 This floor perfume stand display is made by MDF with glossy black baking paint. We offers standard laminate and veneer finishes this perfume display stand, and we can also customize finishes to your specification.